Crown your efforts! 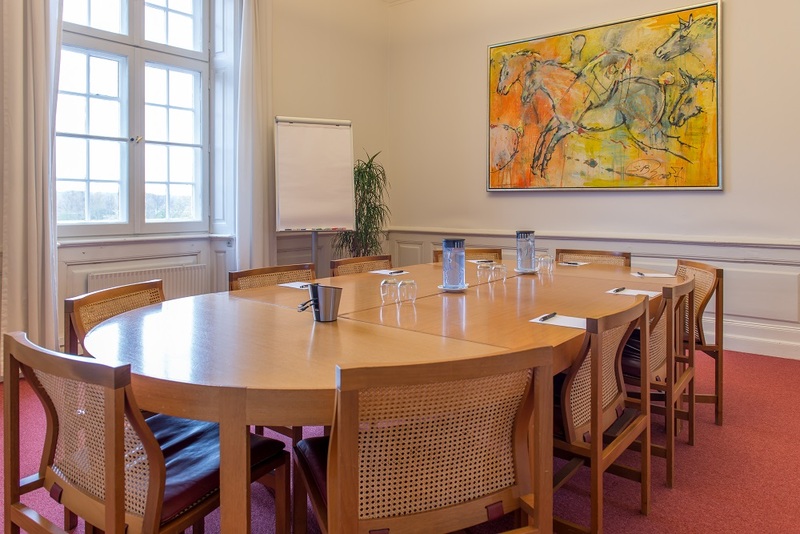 Book your conference at Bernstorff Palace! 9 km from Copenhagen City Center surrounded by the lush meadows of Bernstorff's Park. The main building, the majestic white palace, opened its doors in 1765. Today it is here you find the hotel reception, the restaurant and the authentic royal dining room, with seating for 40 delegates in a cabaret configuration. 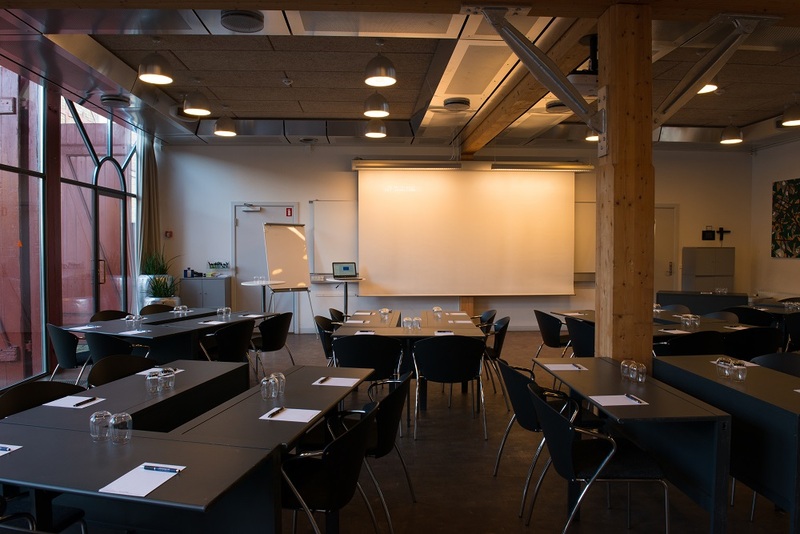 4 more plenary rooms for up to 14 delegates and a number of breakout rooms are located on the first floor. The neighbouring 3-winged mansion was originally the horse guards quarters. 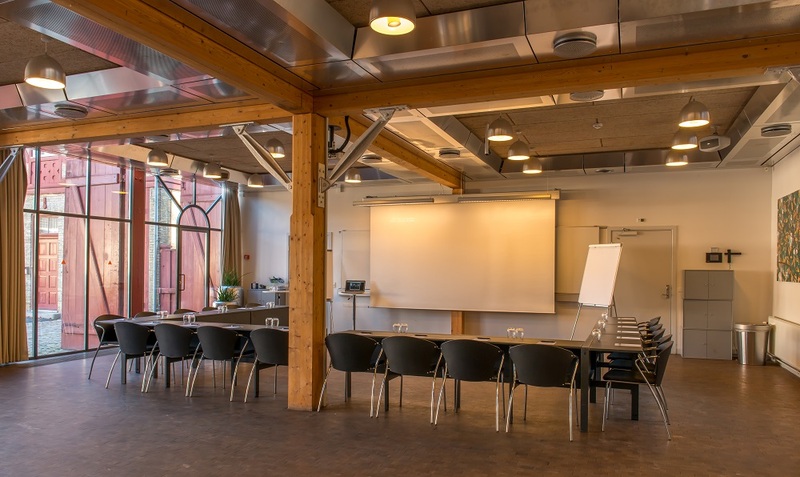 They were built in the 1840'ies, and accomodate today the two largest plenary rooms with modern equipment. The guest rooms are located on the first and second floor in one of the wings. How much is a conference? 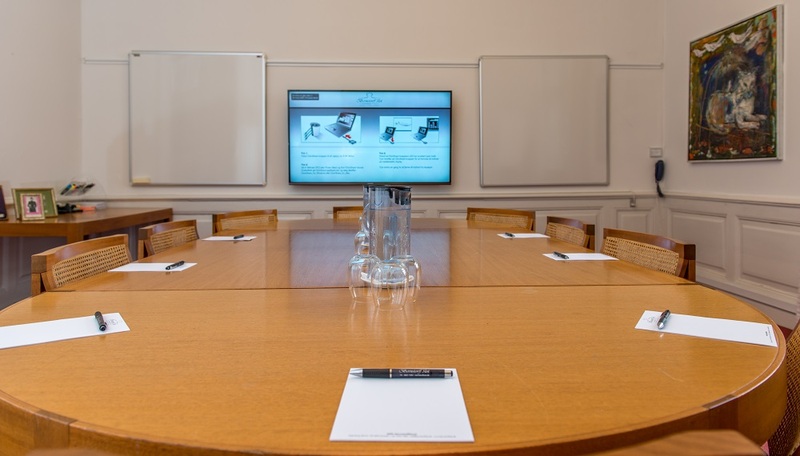 Prices are determined by the length of your meeting, your catering requirements and whether or not you need room nights. 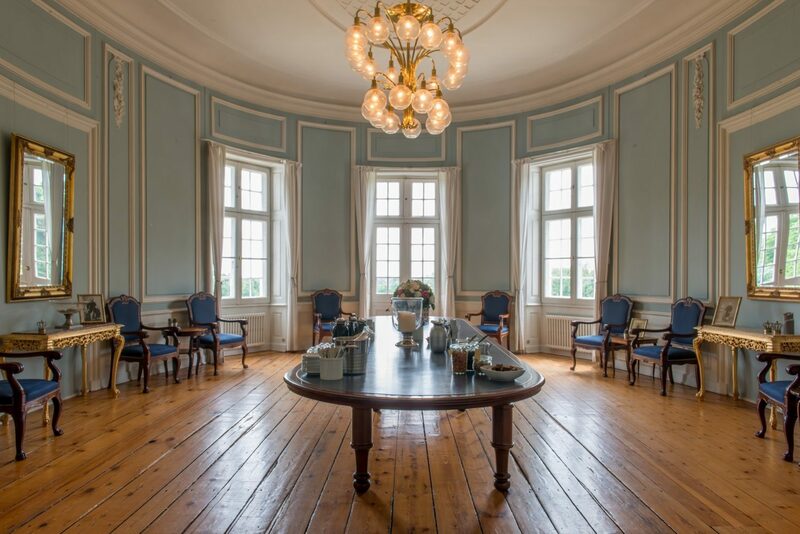 Since the very start of Bernstorff Palace as a conference venue in 2009, Ms. Pia Madsen has been the Chef. In her kitchen everything is homemade of fresh - and often - ecological produce of the season. 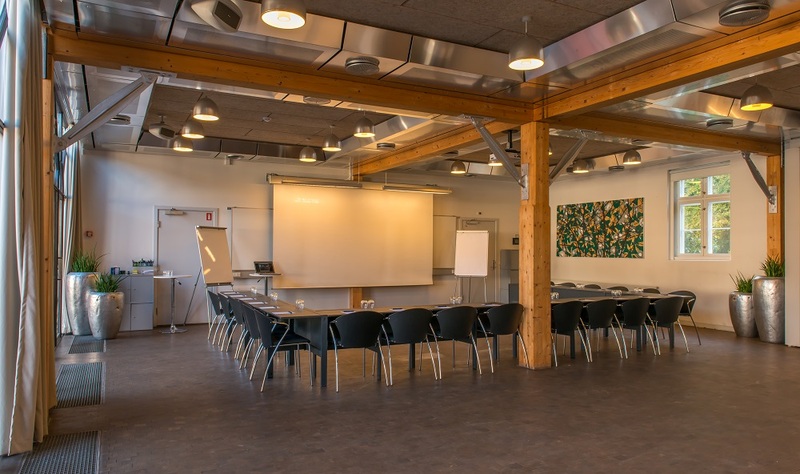 When you book a plenary room, you are entitled to at least 1 breakout room for free. The ratio is 1:10, i.e. 1 breakout room per each 10 participants in the plenary room. If you need more than that, you can book them at an extra charge. 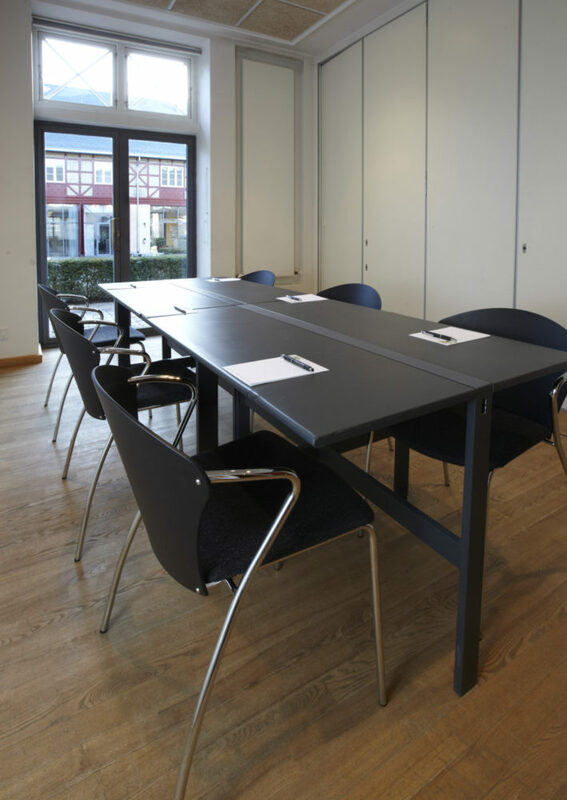 Breakout rooms are generally furnished with 1 table and 4-6 chairs. They are not "born" with technical equipment. However, if you need a flip chart, no worries: you'll have it. Here is a selection of activities we will happily assist you to arrange, once you have chosen Bernstorff Palace as your venue. We have an idea of what you will ask us. Find some of the answers here. But we love to TALK to our clients. So please, give us a call. We are happy to guide you.